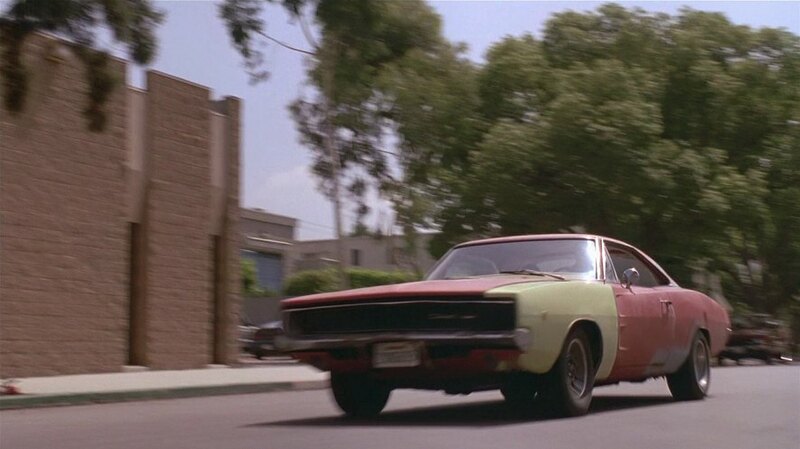 IMCDb.org: 1968 Dodge Charger in "Forever Young, 1992"
Aziz wrote No:General Lee was a Charger R/T 69,and this a 68. It could have been a General Lee stunt car. They've used '68s and '70s for some stunts. Not in the serie,but in the movie,yes,they did. The paint and wheels are reminiscent of General Lee, but the wheels have too many spokes. The American Racing Vectors only have 10 spokes, spaced farther apart. If it had been a Dukes stunt car, they would have put in a 69 grille center section, they did on all of the cars according to a MCG article a while back. And yes they did use 1968s and 1970s in the series, they just converted them to 1969 look-alikes. They did this on the movie too. 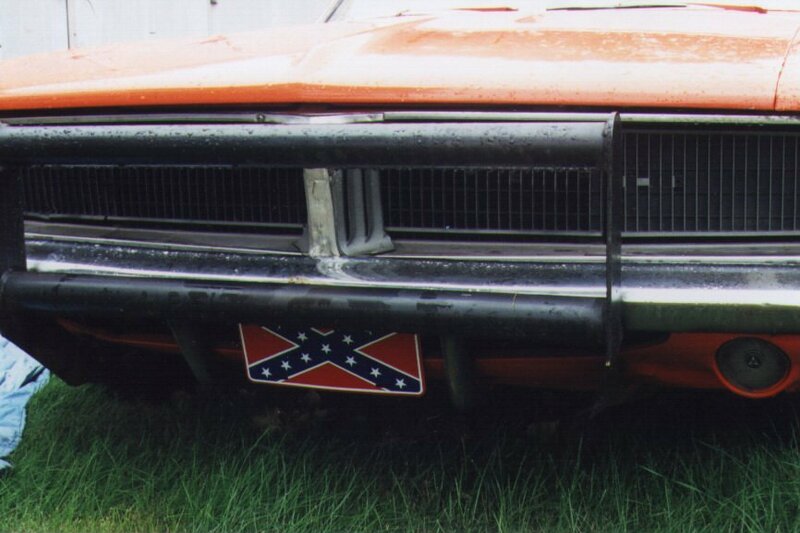 This car was infact a survivor General Lee. They used 1968 Chargers too, they converted them to look like 1969 models. No 1970 models on the show, but they did use them in the movies. This has the correct wheels, they just look like they have more spokes because the wheel is moving. As far as the grille goes, on 2nd unit cars that would never get too close to the cameras, they would just pop rivet a 69 I piece and center grille plastic I beam onto the 68 grille as it was not obvious more than 10 feet away from the camera. A couple of the survivors have this style modification. All they did here was remove the I piece. Here is one of the 17 Chargers sold off by WB in the early 90's and covered in many magazines. Note the pop riveted I piece on the 68 grille.